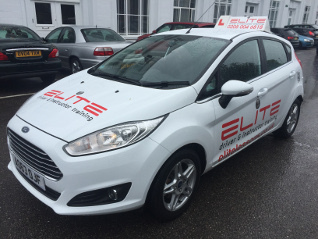 ELITE have driving instructors providing driving lessons in the Bromley and Orpington area of south east London. ELITE Driving School's instructors all have expert knowledge of West Wickham and surrounding test centres, as well as the most suitable and productive areas to take you for your lessons. We always offer very attractive ongoing discounts on block purchases, and new pupils get great introductory offers. To see which of our instructors cover your area click here and see all of our instructor profiles, including their bios, photos and reviews. ELITE's instructors providing driving lessons in the Bromley and Orpington area will always tailor a course of lessons to suit an individual's needs and requirements. This includes providing single-hour, one-and-a-half hour, two hour, or intensive courses. We always have great deals available on learner driver packages.